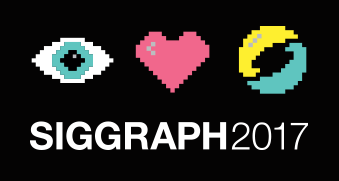 The annual SIGGRAPH Computer Animation Festival is one of the world’s most important showcases for innovative and visually stunning digital animation. Films that win honors here are qualified to compete for an Academy Award, and several in recent memory have either been nominated for or received an Oscar for “Best Animated Short.” Films chosen for this special “best of” show include narrative shorts, time-based art, visual effects, scientific visualization, and real-time graphics. Added bonus: for those that attend and are members of the Chapter, we are excited to offer a raffle drawing during our April and May events for a Select SIGGRAPH 2014 Pass (the full conference, minus the reception). This is a great deal and worth $430! To be eligible, make sure your membership is current, you attend the event, and you pick up your raffle ticket during registration if you are interested in going to the conference in Vancouver BC, August 10‑14, 2014. Must be present and a member of the chapter (renew or join now) to win. Tickets: this event is free to Cascade SIGGRAPH members (goto http://wp.siggraph.org/cascade/en/join). Tickets to the NW Animation Fest are available online at . Since SIGGRAPH events are free to members of the chapter, show your receipt to the chair at the event to get reimbursed. Or tickets are available at the door of the Hollywood Theater (directions and map). Transportation: parking is available on the street around the Theater at 41st and NE Sandy. Public transit or carpooling is recommended. NW Animation Fest celebrates the best new work from independent animators around the globe. With over 200 films, it’s now the biggest animation festival in the USA. This year’s fest includes six Guest Shows, the Oregon Animation Industry Showcase, and five International Short Film Blocks. See it all for only $60 with an All-Festival Pass | BUY HERE. Includes admission to the Art Gallery, Art Papers, Awards Presentation, Birds of a Feather, Computer Animation Festival-Daytime Selects, Computer Animation Festival-Electronic Theater, Dailies, Emerging Technologies, Exhibitor Tech Talks, Exhibits Fast Forward, International Resources, Job Fair, Keynote Session, Posters, Production Sessions, Real-Time Live!, Studio, Technical Papers Fast Forward, and all days of the Exhibition. Does not include reception ticket. Rob Ducey will present the digital design and puppet fabrication process used on LAIKA’s first three films, with many images and examples from ParaNorman, the first stop-motion feature to employ a 3D color printer to create character facial animation — and the second stop-motion film (after Coraline) to be shot in 3D from the onset. The talk will focus on the use of various digital design and manufacturing tools at the studio. Some parallels will be drawn between LAIKA techniques and more conventional CG productions. Highlights: ways these digital manufacturing tools have impacted design and production — and where it’s headed. An explanation of how cutting edge technologies are used and the history of their development at the studio will also be presented. *Added bonus: for those that attend and are members of the Chapter, we are excited to offer a raffle drawing during our April and May events for a Select SIGGRAPH 2014 Pass (the full conference, minus the reception). This is a great deal and worth $430! To be eligible, make sure your membership is current, you attend the event, and you pick up your raffle ticket during registration if you are interested in going to the conference in Vancouver BC, August 10‑14, 2014. Must be present and a member of the chapter (renew or join now) to win. Tickets: this event is free to Cascade SIGGRAPH members (goto http://wp.siggraph.org/cascade/en/join). Tickets will be available online at http://cascadesiggraph2014april30.eventbrite.com, with discounts or free entrance for LAIKA employees (with badge), Multimedia Club members (current), and affiliated organizations and students, with ID. Or tickets are available at the door with a check or cash, to cover expenses. Special orchestration of color and light, projected live on the Hillsboro Civic Center Plaza for the annual tree lighting ceremony. The Symphony of Light is a realtime, interactive, projection-mapped experience that moves to the rhythm of live music and can be controlled by audience members using common audio controllers and computer drawing styluses. The animation runs on open-source software developed in Portland by the group known as LightTroupe, and will be projected through 7k lumen projectors. More info, visit: guildofbuild.com/blog or info@guildofbuild.com.